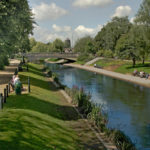 A £1.3m Stafford and Rural Homes (SARH) project to build affordable homes for rent in a village on the edge of the Potteries has been officially named with the help of local school children. Construction work is well underway on the mix of one-bedroom apartments and two- and three-bedroomed homes off Grindley Lane, Blythe Bridge and, ahead of their completion, SARH invited nearby Springcroft Primary School to come up with a name for the development. 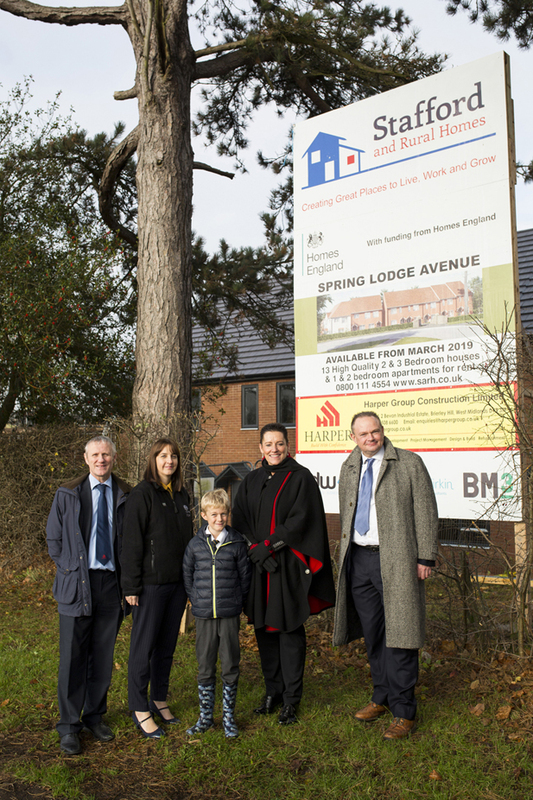 During a recent event at the school, involving representatives of Stafford Borough Council, Homes England and community leaders, SARH Chief Executive Karen Armitage announced the winning suggestion — Spring Lodge Avenue.